We open a bank account for you, or your company, in Barcelona. We advise on local banks, rates and document requirements. We work with Mortgage Direct, an expert in finding the best terms available. Contact Mortgage Direct Here. Tom found a flat in Barcelona. He applied for a mortgage and the bank gave their ‘preliminary approval’ but not the interest rate or other terms. Under pressure from the real estate agent, Tom paid a 10% deposit for the flat. Finally, two days before closing, the bank told Tom the interest rate and other terms. The terms were not ideal. Tom, however, could not negotiate or shop around. He needed the money right away to buy the flat. If he had had more time, he might have found better terms. As it was, he was stuck with the rates the bank decided. Below is a list of common documents banks require to get a mortgage. The list varies depending on the bank. Below are standard terms and costs for a mortgage in Barcelona. Some terms are negotiable. 1) Amount. From 50% to 70% of the purchase price for Spanish non-residents and up to 80% for Spanish residents. 2) Interest Rate. This can be variable (euribor + %) or fixed. The fixed rates normally range from 3% to 5%. 3) Length of loan. Normally 30 years is the maximum. 4) Opening Fee. This varies widely among bans, 1500€ is normal. 5) Property Assessment. The bank will hire an assessor to assess the property before it approves the mortgage. Cost is 300€ to 800€, depending on the size of the property. 6) Property Insurance. The banks require that you buy the insurance through them and the cost varies. 7) Life Insurance. Some banks require that you buy this for the length of the loan. Cost varies. Spain Advisors recommends Smart Currency Exchange of London. Smart offers excellent customer service and has transferred billions worth of currency from and to banks all over the world. They specialize in overseas property purchases and charge no commission. Several of our clients have used them. Click below to open an account and get a quote for a transfer. Very Important: Never transfer money from your home-country bank to your Spanish bank. You’ll get a terrible exchange rate and fewer euros for your transfer. Smart transfers a lot of money at one time. Thus, they can use a low exchange rate and still earn themselves a profit. Banks do a one-time transfer and use a high exchange rate, so you get fewer euros for your transfer. Spain requires a property buyer to prove the ‘origin’ of all funds used to buy the property. The ‘origin of funds’ is normally your home-country bank account. However, if your country is considered a ‘fiscal haven’, the bank may require documents showing how you earned the money. Bank requirements in this respect vary greatly. An exchange broker can be a big help. All banks require a passport, and some a Spanish ID (NIE), to open an account. Transferring funds normally requires additional documents depending on the bank and your country of citizenship. Banks require the Spanish company’s articles of incorporation, Spanish tax registration number and the passport(s) of the company director and shareholder(s) with 20% or more of company shares. If a shareholder is a company, you’ll need that company’s incorporation data as well. You may need additional documents depending on the bank and the director’s and shareholder’s country of citizenship. The company must register with Spain’s tax authority and obtain a tax identification number called a VAT number. Also required are the passports of the company director and major shareholder(s). If a shareholder is company you’ll need that company’s registration information. You may need additional documents depending on the bank and the shareholder’s country of citizenship. I want to buy property in Barcelona. Where should I apply for a mortgage? You should apply with a branch located in the town or city where the property is located. A local branch knows the local procedures and rules for buying property. Several Spanish and international banks have branches in Barcelona. Do I need a bank account with a bank located in Spain? If you plan to own property or live in Spain, it’s highly recommended. All utility bills and taxes are paid by direct debit; checks are not used. A Spanish bank can make direct-debit payments, and provide other services, at better rates than a bank located outside of Spain. I want to open a bank account in Spain for my company so we can make payments in euros, etc. Is it very difficult? If your company has no ‘permanent establishment’ in Spain, you just have to register the company in Spain and get a VAT number. With this, and company-owner information, you can open a bank account. If, however, your company has a ‘permanent establishment’ (an office, warehouse, etc.) in Spain, then you have to incorporate the company in Spain. This will get you a company VAT number. With this you can open an account. The company will then be subject to paying taxes in Spain. Most banks offer accounts in different currencies. I see 'mortgage brokers' advertised online. What are these? Should I hire one? The only one we recommend is Mortgages Direct. They have a lot of experience, stay with you throughout the process and can negotiate mortgage terms with the bank. Some other ‘mortgage brokers’ we’ve seen refer you to a bank, then disappear. Some are free because the bank pays them a referral fee; normally 1/2 of the 1500€ ‘opening’ fee. Mortgage Direct are not free, but normally they’re worth it because they can negotiate better loan terms. For example, they try to eliminate the bank’s opening fee. Other brokers won’t because they’re paid a % of it. Finally, be careful where the broker sends you. If they refer you to a bank located outside of the town or city where you buy the property, it can cause problems as each region in Spain has their own rules and procedure. In Barcelona it’s very difficult to work with an out-of-town branch (we speak from experience). Do mortage rates differ between Spanish Residents and Non-Residents? Yes, Spanish residents get better terms. According to the bank, a Spanish resident is someone with a permanent NIE and who files an annual income tax return in Spain. ‘Non-resident’ do not. If you buy property as a ‘non-resident’ they treat the property as your second home and the terms are not as good. In fact, some banks won’t offer a mortgage to a non-resident. Further, if you default on the loan, the Spanish bank can take the house butl alos sue you personally for the outstanding loan balance. It’s hard to sue a non-Spanish resident. Mortgages Direct can advise you all this. What happens if I default on my Spanish mortgage? As you might expect, the bank takes ownership of the property and tries to sell it to recover the outstanding balance of the mortgage. If that, however, is not enough, they can sue you personally for the outstanding balance. Getting information from banks, especially about their fees, is not easy. You usually get the fee after the service has been provided. 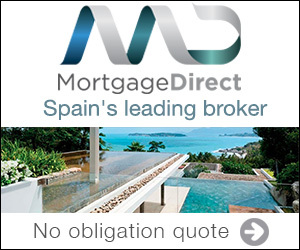 We’ve been working with Barcelona banks and mortgage brokers a long time. We can get you the information you need to make decisions. For advice, email or call. Thanks again for visiting our site. Spain Advisors sponsors a free 'Buy Property' seminar once a month where we discuss all aspects of finding and buying property in Barcelona. Join Us.